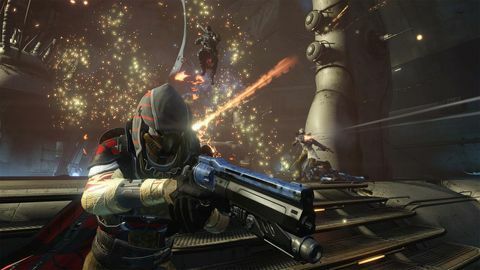 With Destiny's second expansion, House of Wolves, out this week, we speak with creative director Chris Barrett about the reception of the first DLC, player expectations, and handling the feedback from a million players. Q: First up, can you give us a sales pitch for the new expansion please. Chris Barrett: We’re introducing this whole new storyline and opening up a new area of the Destiny universe for players with the expansion of The Reef. We’re also introducing brand new activity The Prison of Elders, an arena-style combat that’s going to be really cool. 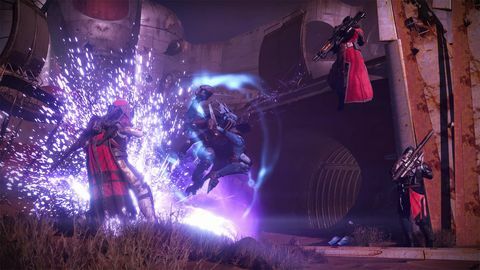 It’s got the whole new Fallen-themed storyline which all ties in with The Reef and The Prison of Elders as well, and Barrettthen I’m really excited that there’s a new something to do for every mood. There’s a brand new PvP mode with Trials of Osiris which is super exciting, there’s new PvP maps, there’s new strike. So there’s a lot of content which is super exciting. We’ve updated a bunch of stuff with the economy and refreshed a lot of stuff – new gear, exotic weapons, faction weapons and gear, Vanguard weapons and gear. So there’s just a ton of stuff. People have been itching for more to do more content and I think House of Wolves delivers that. Q: Are there any new enemies? Chris Barrett: Because it’s a Fallen-themed expansion we added some cool new stuff to the Fallen sandbox. There’s bomb shanks that charge up next to you and try and explode, then there’s multiple types of turret shanks. There’s a sniper shank. On top of that, Fallen are sort of pirates, so they have their hideouts and booby-trapped loot and stuff like that. There’s a brand new vehicle – a heavy pike. So, a lot of new toys for players to play with. 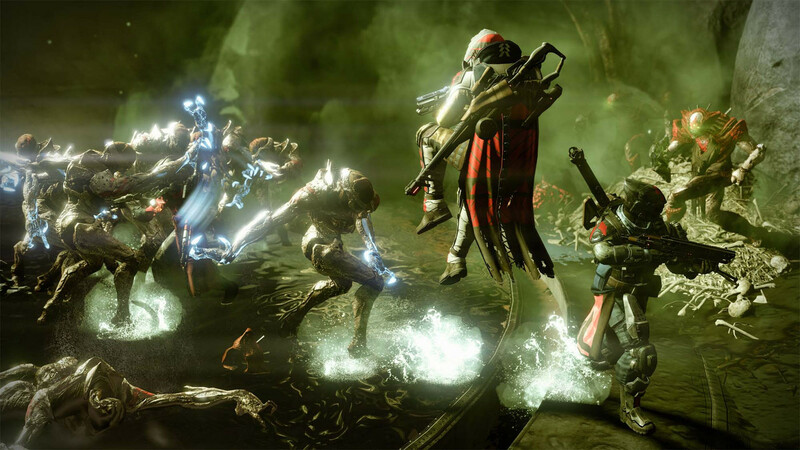 There’s also brand new bosses players will face in The Prison of Elders with unique mechanics for each one. Q: I know you guys probably track all kinds of metrics. Has player behaviour changed since the game launched? Were there any surprises there? Chris Barrett: I have casual observations but I’m not the greatest person to talk about metrics. We are super excited to see how much people are playing. When they sit down each day they’re playing for multiple hours which is great. They’re engaged, and they’re coming back week after week. We definitely had the hope that we would create a ritual out of the game – something where it was a hobby for players. Things like Xur appearing in The Tower once a week, or the weekly Nightfall strikes – those are things we really hoped would create that kind of ritual, and we’ve seen players embrace that. Q: What did you make of the reception of The Dark Below? It was criticised for not having enough content or enough story. Do you think these are fair criticisms? Or are player expectations simply too high? Chris Barrett: I think player’s expectations are always going to be high and that’s good, they should be. They’re paying money, they’re putting their time into the game, they’re invested in it as much as we are now. So, it’s important to them that the game is fun. It’s all fair critique, and I think that we wanted to put as much content as we could in The Dark Below, and we continue to put as much as we can into each release. We tried to put as much into House of Wolves as possible. We’re all players of the game ourselves, so I’m certainly trying to get as much in there as possible and have new stuff to play. As far as the story goes, that’s something we’re evolving. We’re listening to fans’ feedback, we’re critiquing it ourselves, and with each release hopefully we incrementally make the story experience better. Once you play House of Wolves you’ll see we’ve evolved the way we tell stories from The Dark Below even. I think there’s some cool stuff players will experience. Q: Another thing some players didn’t like was that gear they spent hours improving was rendered obsolete almost immediately when the last expansion dropped. How do you expand the game without leaving veteran players feeling like they are getting a raw deal? Chris Barrett: It’s always a tough thing to balance. We want people to be acquiring new stuff, and so if they all hold on to their old stuff and it’s just as good, they’re not gonna want the new stuff. Also it’s about getting players into the game that are new to the game as well. You don’t want to have to have them play 500 hours of content to be enjoying the game. It’s something we’re always talking about to figure out the best way to do it. 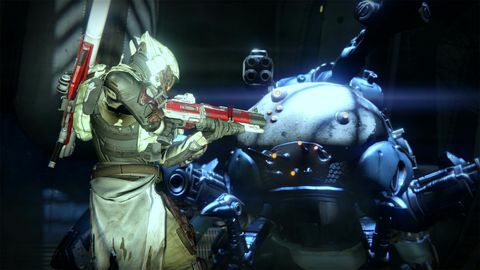 With House of Wolves specifically, one of the criticisms you mentioned was the old weapons being obsolete, and that’s one of the main reasons we introduced the ascension system – so all the gear players have acquired up to this point can be brought up to the new level. So new players can come in they can get new stuff, they can buy new weapons and stuff like that from this release, but the veteran players will have that whole arsenal available now – they’ll be able to bring it up and bring it with them so it’s kinda the best of both worlds. People can jump in quickly, and the people who have been playing for a long time have that depth in their gear and in their weapons, so I think it’ll be a good balance that way. We’re always thinking and talking about ways to make the experience good for new players and old players. Q: How do you decide who to listen to? Is it a volume of complaints thing? Or do most changes come from within the dev team? Chris Barrett: It’s a whole mix of things. Sometimes it’s a huge number of people are asking for something and we wanna listen to them and make the game better for them, so something we may not have originally planned for or wanted to do we’ll consider and implement. There’s some things that people are clamouring for that we’ve known about forever like vault space for example – we’ve always wanted to add more but it was a technical hurdle that we were able to overcome at some point. There’s also stuff that is more controversial. A lot of people are clamouring for matchmaking in raids, but that’s a much more nuanced conversation, and there’s specific reasons why there’s not matchmaking in raids. Sometimes we go with our gut, sometimes there’s long design discussions that are about those things. Other times we’re trying to listen to the community. We’re always looking at the forums. Basically, if there’s a forum post about Destiny somewhere, unless it’s really obscure you can pretty much guarantee a developer has read it or we’ve talked about it. We’re very aware of the community and wanna make them happy for sure. Any critique is a good critique ‘cos we’re trying to improve and evolve the game. There’s nothing better than millions of people giving you feedback, it’s great. Q: Could you very briefly talk about the design philosophy behind the whole ‘no matchmaking in raids’ thing? Chris Barrett: I won’t go into depth because it’s not really my design expertise – there’s an activity design team that’s always talking about that stuff. 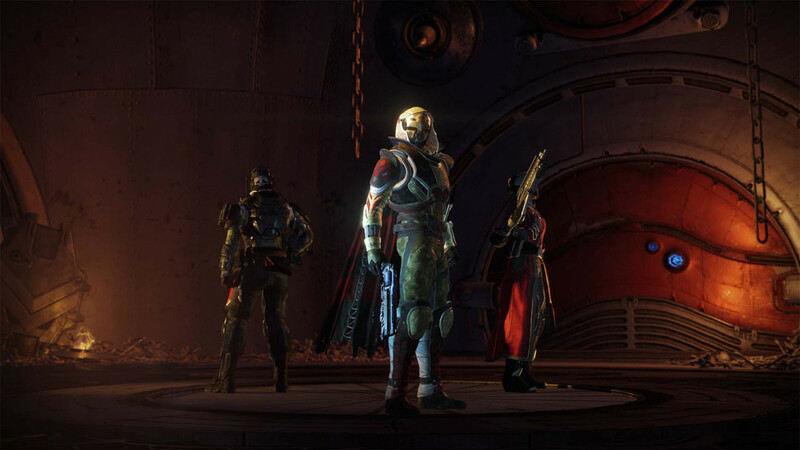 The gist of it really is: we want the gameplay of the raids to be really challenging – something that requires communication and patience and a long amount of time. The most difficult content, right? So with matchmaking you certainly can get lucky and get people that are really good and will opt into the voice channel and are invested in the experience. But on the flip side, you’re gonna have experiences where people jump in and they may not get match-made with someone who is invested in that way, or someone who has never played before, or doesn’t know what they are doing any number of factors. We’re just as worried about people who are jumping in and that’s their experience with a raid and they get frustrated because they're not having fun. The alternate would be to make it easier so anyone could jump in and match-make and have a good time, and that’s not really the goal of the raids themselves. We want them to be the most challenging experiences. Absolutely though, we have heard the feedback to make it easier to find people to play with. We would like to make it easier to find people to play with that are at your level. Q: Are you able to talk about any of the content going forward from House of Wolves? 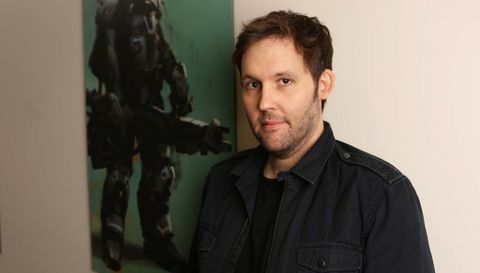 Chris Barrett: We’re absolutely thinking about new stuff, whether it’s next month or next year or six years from now. 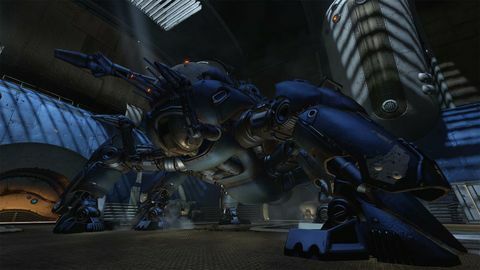 I’m sure with E3 coming up we’ll have a presence there so wait ‘til then, but for now we’re all about House of Wolves. Q: (From GP forums member gneiss): Will The Stranger finally get time to explain what she hasn’t had time to explain? Chris Barrett: [Laughs] Uh, no comment. Yes. Someday. Since she does travel through time we don’t know when that’ll be. When she decides to explain it to us.